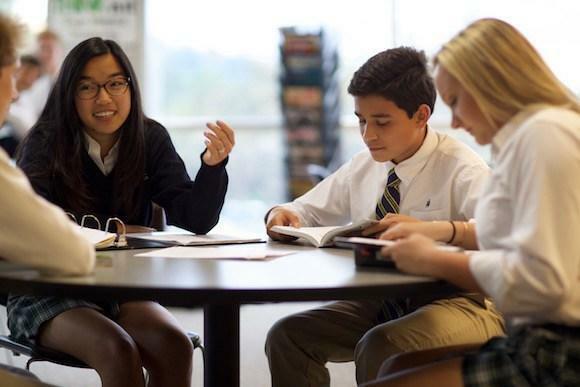 As prescribed by the Southern Association of Colleges and Schools and the Tennessee Department of Education, Notre Dame offers a balanced curriculum of religion, English, math, science, social studies, foreign language, physical education, and fine arts. The curriculum includes instruction in the beliefs, traditions, and doctrines of the Catholic Church and guidance in moral values. Notre Dame’s goal is to assist students in maximizing their greatest academic potential. To assist in this goal, the school has established minimum criteria for placement of students in one of its designed course levels. Students can be placed at various levels depending on their performance in specific subject areas. All incoming students will be placed based on predetermined multiple criteria, including teacher recommendations, grades and standardized test scores. Placement will be made by the Academic Dean in cooperation with the admissions team and academic departments. Each department determines placement of all returning upper level students based on prior academic performance and ability to maintain minimum grade requirements in the subject area. College Preparatory: Designed for students who can handle a college preparatory curriculum, are willing to be challenged, can understand the major concepts of the content, are motivated to complete tasks, are prepared to do outside reading and can move to a higher level of critical thinking skills. 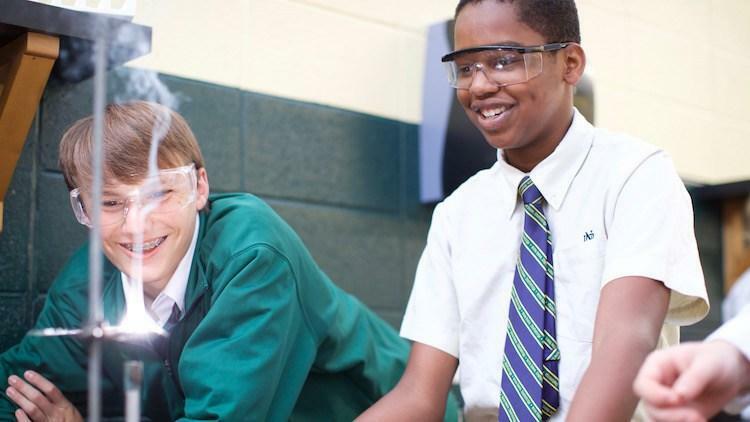 These classes meet all state college preparatory curriculum requirements. Advanced College Preparatory: Designed for students who can retain materials and readily use them without constant drill and practice, can handle some outside projects during the semester, possess excellent critical thinking skills but may need some direction, can work independently and can cover material at a faster pace. These classes meet all state college preparatory curriculum requirements. Honors-College Preparatory: Designed for students who are self-directed and self-motivated, can handle several outside projects and more outside reading, can handle frequent demands of higher level critical thinking, can handle a faster pace for mastering required elements in courses and can handle material at a more detailed level. Testing, grading and homework should reflect this level. Advanced Placement: Designed for students who are more responsible for their own academic achievement/progress, are concerned with knowledge as much as grades, are mature and highly motivated, can grasp basic concepts through primarily independent study and are able to synthesize understanding of content with new and varied approaches. Advanced Placement classes are sophomore university level classes and must adhere to standards prescribed by the National Advanced Placement Board. To earn college credit for these courses, students must pass rigorous national tests that are designed by the National Board and administered in May of each school year. Advanced Placement classes are offered at the sophomore, junior and senior level. Students are required to take the AP test at the end of the year. A score of 1-5 is received. A passing grade is a 3 and above. Any student receiving a passing grade is eligible for college credit of 3 hours. It is totally up to the college or university where the student chooses to attend to accept the credit hours. Dual College Credit Enrollment: Designed for students who meet admission requirements for Chattanooga State and are pursuing college credits in the courses for which they are enrolled. Students must have at least a 19 ACT score in the subject area that they are pursuing. Students must be willing to meet the rigor and demands of college work. Students may earn up to fifteen hours of college credit per semester by successfully completing the requirements for their classes. The student must apply to Chattanooga State as a student and be enrolled at Notre Dame. If the student passes the semester they may receive 3 hours of college credit, and if they pass two semesters they will receive 6 credit hours. All University of Tennessee and Tennessee Board of Regents colleges and universities accept these credit hours and many, many more colleges and universities do as well. If a student by the end of their sophomore class earns a 21 or higher on the ACT TEST they qualify for the HOPE SCHOLARSHIP which will pay for their dual enrollment tuition at Chattanooga State and also a portion of their college tuition when they enter college.